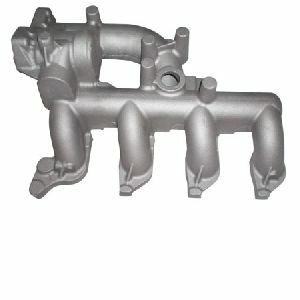 Automatic molding system provides fast and precise sand molds for high quality aluminium castings. Molding speed is 320 molds per hour, so customer needs only one tooling for required quantity. Fast PPAP time. And the tooling charge for sand mold is much lower, comparing with gravity casting. Besides, quality facilities, such as spectrometer, coordinate measuring machine, and universal testing machine are installed to make sure melting is 100% perfect.